We all know Oprah Winfrey for her highly praised and popular daytime talk show “The Oprah Winfrey Show” which aired for 25 seasons. But, Oprah has defined herself not just through her Chicago based show. A philanthropist, actress, producer and an entrepreneur; Oprah has bagged herself these titles with a lot of focus and hard work. Oprah is known as an inspirational figure and one of the most puissant women globally. Ms. Winfrey had a childhood filled with a lot of hardship and through the struggle, she emerged as a successful entrepreneur setting herself as a phenomenal example for all men and women. She started her own company – Harpo Inc. (her name spelled backward) in 1986 and just after two years she bought a studio in Chicago giving us the world’s number one talk show and creating a millionaire milestone of her company. The reason nothing ever could bring her down, given the neck to neck competition in the showbiz was her from-the-heart and honest interaction with the audience. Everything she did was to truly connect and understand the issues and provide a helping hand to them through the dark phase. 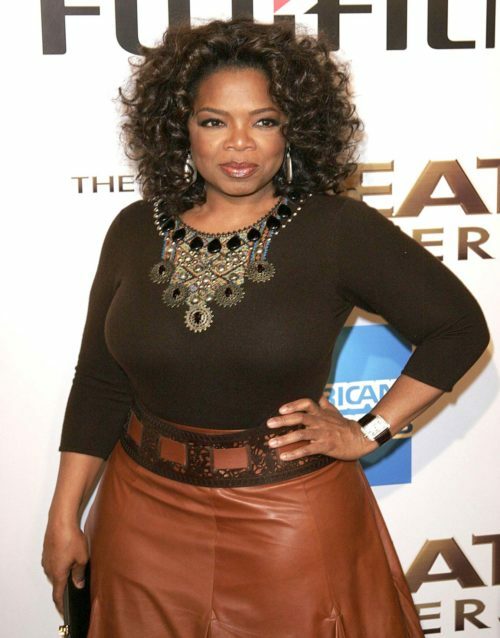 Gaining immense success and popularity in the media industry, Oprah had a lot planned out. She also founded a company – Oxygen Media which was a cable network just for women and launched another recently known as Oprah Winfrey Network (OWN). Today, she stands as one of the richest African American according to the Forbes magazine. Her continual thrive to do what she loves the most – helping others , kept her going to great heights and led to her becoming an activist for the rights of children. She has helped political candidates for a good cause such as Barack Obama and also with the help of Congress her proposal to form a database of all child-abusers was approved. Her strong determination towards bringing change selflessly has brought her a long way and most importantly has propelled the lives of many. Oprah is an epitome of success who at an early age learnt to channel her energy in a positive manner which has built her over the years as the strong woman we see her. She has given charity to many foundations and has created numerous charitable trusts and projects to promote education, help children with AIDS and people affected by adverse calamities such as the Hurricane Katrina. She teaches us through her work to always be thoughtful and generous, not dwelling on running after fame and money as priority. Oprah is an influential role model to all of us. She inspires and encourages us to follow our dreams regardless of what life throws at you and even if downfall comes your way, it is the direction we tackle and launch ourselves that matters the most. The poise in which she handles any situation put forth her and her entrepreneurial quality expedited her career graph exponentially. Even after so many years in industry, Oprah still continues to do bountiful acts for people everywhere. In a nutshell, she is and always will be a true paragon for every person. Previous articleMalala Yousafzai- Where Courage Dwells! Fantastic web site. Lots of useful information here. I am sending it to some friends ans additionally sharing in delicious. And certainly, thanks for your effort!